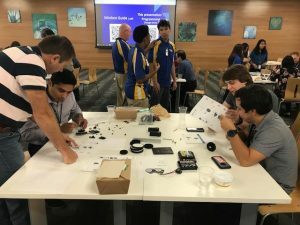 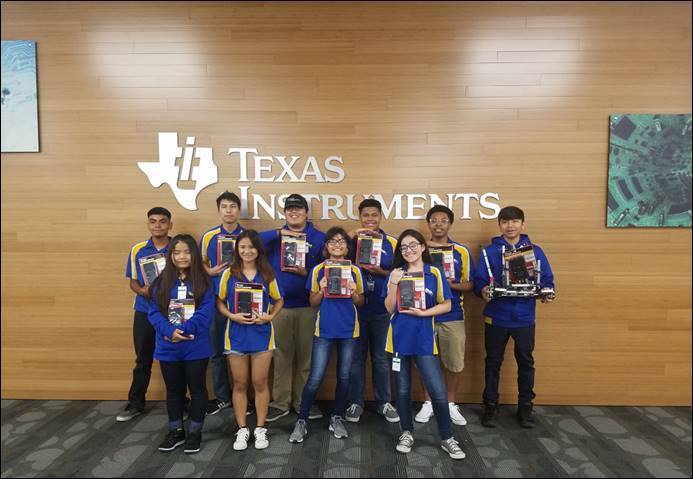 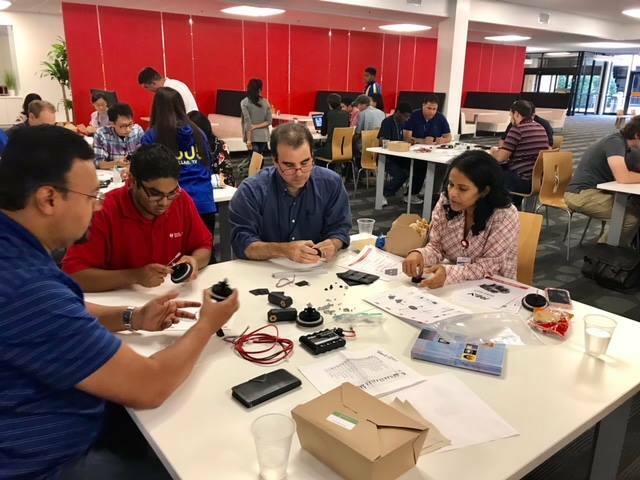 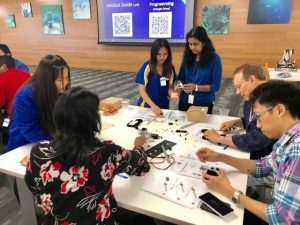 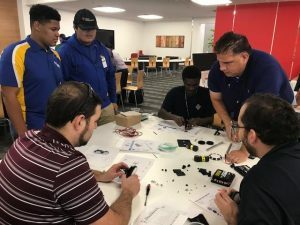 We had a blast working with one of our favorite sponsors, Texas Instruments, at a FIRST Tech Challenge mentor recruiting and training meeting they organized. 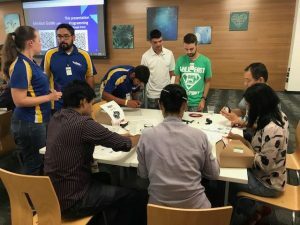 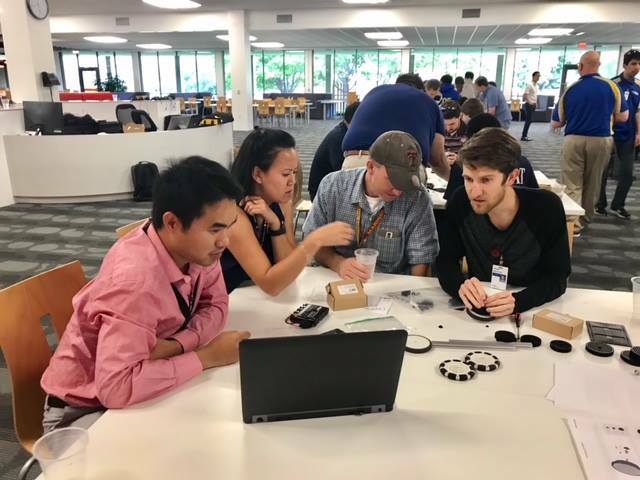 We got the chance to build REV Robotics Minibots with over 40 employees interested in becoming new mentors! Big thanks to Patrick, our local FTC Affiliate Partner, at UTD and Jacob from Wylie East High School for loaning a few extra kits and hands for the day.